'Cause let's be real...grandparents know how to spoil the crap outta their grandkids and it's the best thing ever! 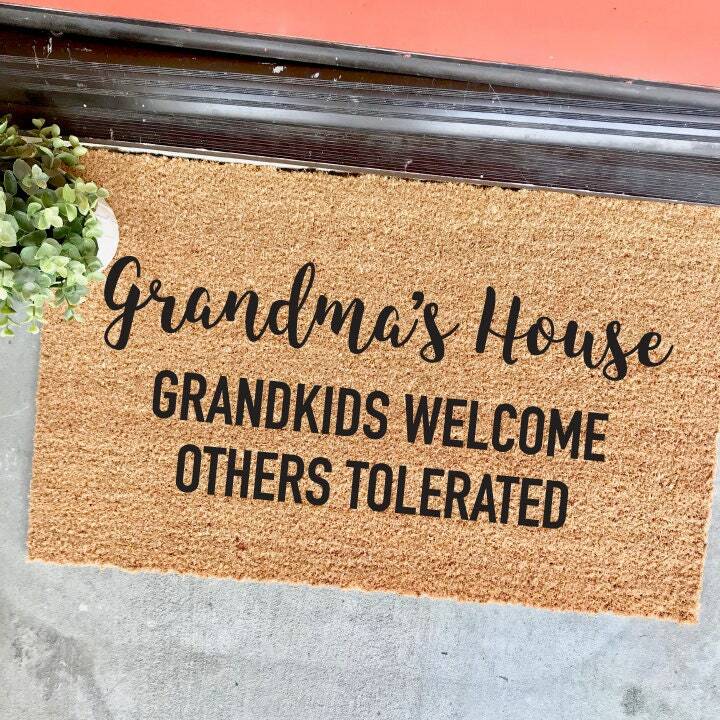 Might as well say what you know grandma and grandpa are thinking on a doormat..."grandkids welcome, others tolerated." This mat can be customized to say "Grandma and Grandpa's house", "Mimi and Papa's house", "Grammy's house", etc. Just be sure to write your preferred wording in the "notes to seller" section when checking out! Item was shipped in a box instead of a shipping bag like other sellers on here. Arrived in perfect condition and in time for xmas! 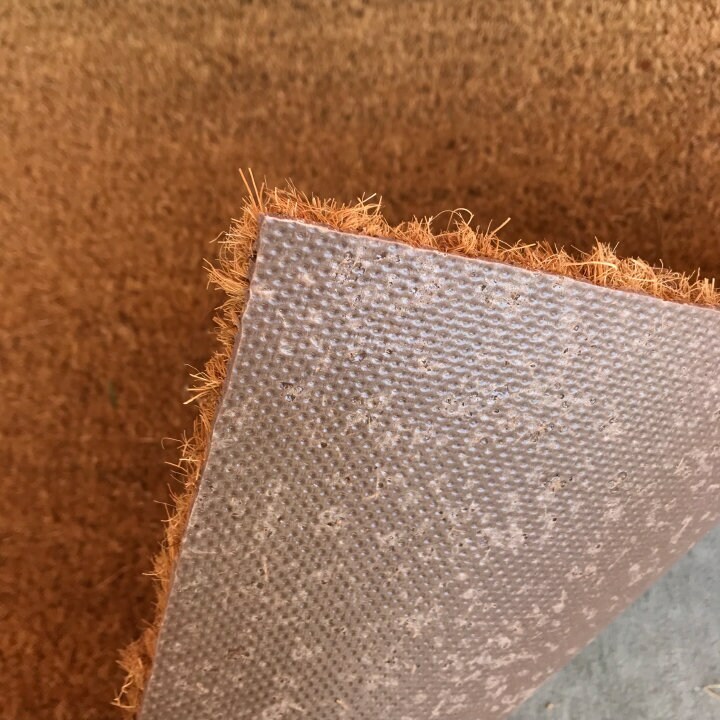 Loved being able to customize the mat!! Can’t wait to give it to my in-laws!